Trust Aussiefast Transport Solutions for a complete range of transport and warehousing services with a focus on flexibility, reliability safety & trust. 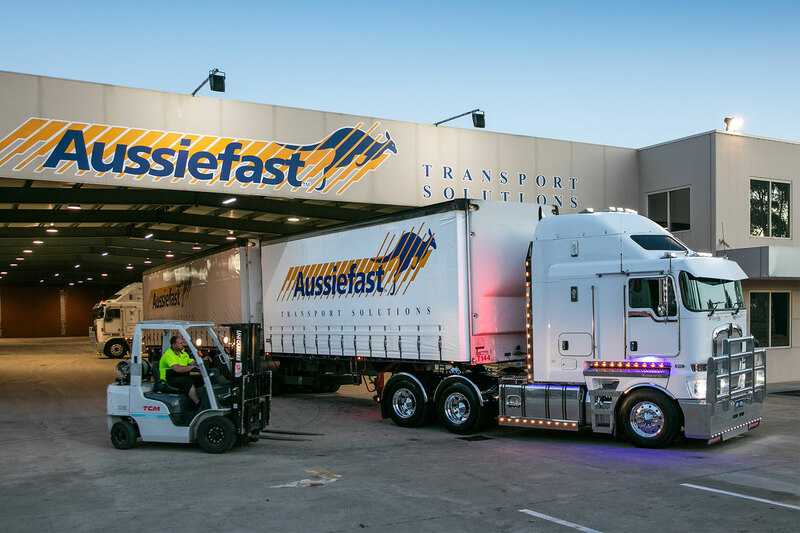 Aussiefast offers a complete range of transport, courier and warehousing services with a focus on flexibility, reliability, safety and earning the trust of our clients. Based in Adelaide, we have custom-built facilities and diverse national network of more than 300 vehicles ranging from bike couriers, vans and utes to semi-trailers; giving us the flexibility to deliver anything to any location at any time. Protecting your freight from theft, damage or being misplaced is one of our top priorities. Our state-of-the-art warehouse facilities use security cameras to ensure your goods are always safe in storage. We use a variety of stock and freight management processes including GPS tracking technology and online P.O.D. systems, so you can always account for your freight when in transit. Our systems also give you the flexibility to use your own or any number of paperwork options for deliveries. Recognising that signed paperwork is important for any goods delivered, our system reduces any possibility of lost or missing paperwork, speeds up POD feedback and improves overall delivery efficiencies. The safety of our drivers, other road users and the Australian community at large are very important to Aussiefast. Driver fatigue affects much more than delivery times and we are committed to ensuring driver fatigue is not an issue, with a number of key measures and procedures in place to prevent it from occurring. We excel at moving goods from point A to point B, but it’s only one part of our total offering. At Aussiefast, we’re passionate about all the things that make up first-class transport, warehouse and logistics solutions. We pride ourselves on our excellent service and administrative support. To learn more about how our transport and warehouse services can benefit your business, please call us on 131 770 or contact us via our online form.